Part 3 of 3. Motorcycle Repair and Upkeep. 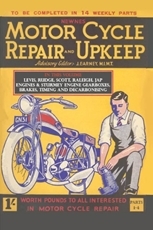 Motor Cycle Repair and Upkeep.